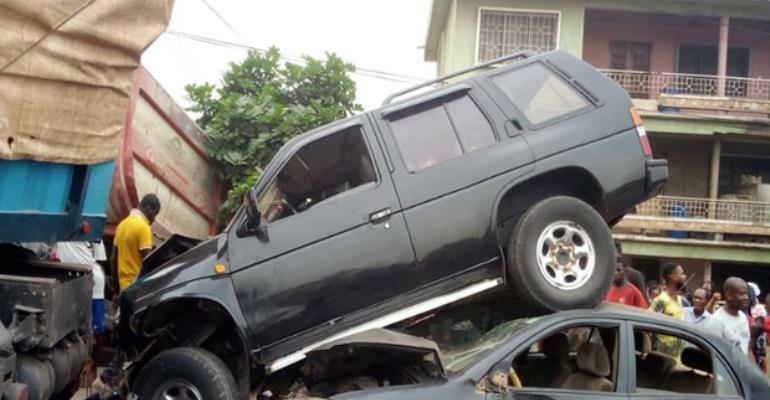 The factors that account for the many road accidents in the country continue to engage the minds of many concerned Ghanaians. We in the Daily Guide would not want a situation where the matter is not accorded the long haul treatment which such matters bordering on life and death require. It is for this reason that we have devoted three editorials to the subject. Knowing how we treat issues in our part of the world irrespective of how grave these might be, only such reminders would ensure a proper management of what now stands as a major killer of persons in the country. We are challenging all therefore to rivet their attention on this matter. Only a national conversation and the application of stringent measures coupled with the upgrading of our highways to dual carriageways or more would address this malaise. We have observed that some of the so-called modern buses do not meet the international safety standards. The buses which were involved in the killer accidents we have learnt did not have adequate emergency exits to allow for the immediate disembarkation of passengers when the fire was raging. This could be countered by the argument that when the fire started, the passengers were already injured and could not have moved out of their entrapped positions even if there were sufficient exits. Perhaps had there been safety exits, the story could have been different nonetheless. The bottom-line is that most of the buses do not have sufficient emergency exits if at all; the anomaly should therefore be addressed by the appropriate state regulator. Some vehicles come into the country as cargo vans but the specifications are altered to make them passenger vehicles. Such crude buses are found in the Mercedes Sprinter categories and their Nissan Urvan counterparts. The Driver and Vehicle Licensing Authority (DVLA) must deny registration to such vehicles as part of measures to reduce accidents to the barest minimum on our highways. Firefighters are often called in to rescue entrapped passengers when these makeshift buses are involved in accidents. For us even as laymen in such matters, a single exit controlled only by the driver for a 48-seater bus is not in the best interest of passengers. We recall the Mercedes Benz passenger buses of the 60s. The glasses were fitted with mini hammers with the inscription 'In Case of Emergency Break Glass'. Today, passenger buses do not have these features and so in case of emergencies, the aftermaths become avoidably critical. We have discovered one of the factors that account for the unrivalled safety record of the State Transport Company (STC). For their long haul operations such as Accra to Bolga, two drivers are on duty. One drives to perhaps Kintampo and the other takes over from that point. This way, the judgment impairment fatigue, which causes accidents, is obviated. The authorities must therefore make it mandatory for long-distance buses to have two drivers both of whom should rest after a certain specified mileage.